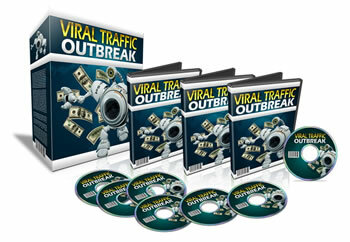 Introducing the ALL NEW & IMPROVED Viral Traffic Outbreak - Free Website Traffic Generator! Would you like to Discover a Simple Secret, That Will Dramatically Reduce Your Cost Of Advertising and Increase Your Exposure EXPONENTIALLY? The more you use this system - THE MORE THE SYSTEM PAYS YOU BACK IN FREE ADVERTISING! 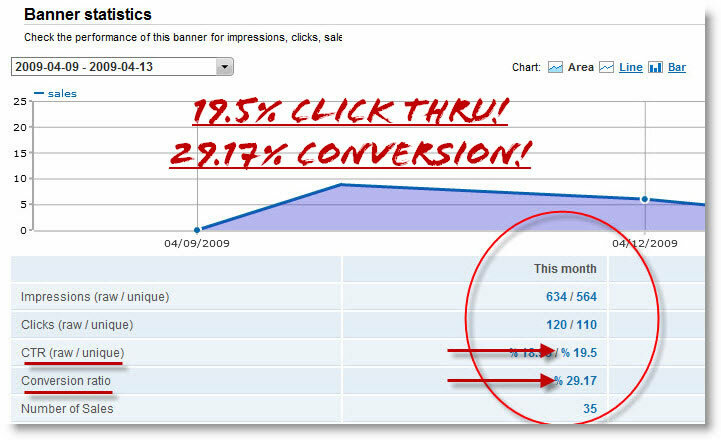 Today You Can MULTIPLY your web traffic... and your CLICKS & CONVERSIONS!! Every Website Owner Should Read This! You could have the best website, best products & services on the Planet but if nobody knows about it? It's pretty much of no use at all! Every good website needs good traffic! But I would go even a step further and say it's not just traffic you need, but traffic you can CONVERT into subscribers and sales. After all, if you had a storefront, would it make you rich if you had a flood of people just walking past or staring in your window? No, You need prospects to come in and look around and start building a relationship with them, and then eventually they will start buying from you. Internet marketing is no different -- You need prospects who will join your list and look at your free content so you can show them value and the sales will follow. This is the beauty of VTO - Now you can build your own list and email that list to build and grow KLT = KNOW, LIKE, TRUST. When people know, like and trust you -- and you have something that they need or want - They WILL BUY from you! I'm going to give you a true plug-and-play, in-a-box system literally anybody no matter what your skill level can understand and use to generate targeted traffic automatically. This is a REAL MUST HAVE TOOL & The most COMPLETE "set it and forget it" system you will ever find. All you have to do is plug in the links of your products and services, We even have a ClickBank Text Ad Rotator which works on AutoPilot! Simply sign up for a free ClickBank Account & enter your affiliate ID in your profile page. We do not get any of your ClickBank commissions - They are paid directly to you! + We pay our affiliates every month through Paypal so be sure to update your member Profile page or you will not receive any commissions. This system is so easy you might wonder how you managed without it. Creative Viral Advertising, Web Traffic, AND Solo Emailing ALL in 1! This tool is unlike anything you have seen or used before. And it was designed specifically to help you and other marketers who want more traffic but are fed up with the lame tools and tactics being pushed out there. So how does VTO work? Using VTO is very simple. The best part is you don't need to change anything you already do, if you use and promote websites, yours or as an affiliate, just transform your original links into VTO links in seconds and BOOM! You start earning free traffic and advertising! I wanted to make this so blindingly easy that any beginner can pick it up, understand it immediately, start driving traffic within 24 hours (or less). You can literally get your Viral Traffic Outbreak System set up in a few minutes and start seeing targeted traffic as soon as TODAY. STEP 1: Enter any website URL into the VTO Link Generator to transform it into a viral advertising "VTO Link"
STEP 2: Use the new VTO Link instead of the original website URL, and you earn viral advertising and web traffic every time your links are clicked! Use your new VIRAL LINKS EVERYWHERE & See which one performs best with the built in tracking tool. STEP 3: Create ads in the VTO Ad Generator that drive visitors to your website - as you earn ad credits from using your VTO links, YOUR ADS display across the network and drive traffic to YOUR SITE! The More You Use Viral Traffic Outbreak, The More Reward Credits And Money You Earn! This is True Plug & Play, It does require some effort but not much and you can earn a good income using and promoting your affiliate link to invite others to join Viral Traffic Outbreak! 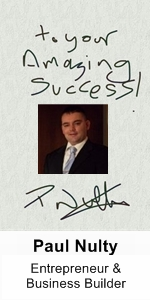 "...SUPER I use VTO to manage and track everything I do"
"I have been studying traffic generators for about 14 months and this one is the easiest and most effective so far, Keep sending the free traffic & commissions"
You can earn a boatload of traffic and advertising without changing what you already do! All you do is use VTO links instead of original website or affiliate links and the rest is AUTOMATIC! You already know you can generate a ton of traffic just by using Viral Traffic Outbreak - Free Website Traffic links. But here is the kicker -- you also earn advertising and traffic on all of YOUR REFERRALS... As you refer others to Viral Traffic Outbreak - Free Website Traffic and they create Viral Traffic Outbreak - Free Website Traffic links, you earn more advertising and traffic on THEIR LINKS too! THE MORE YOU USE THIS - The MORE TRAFFIC YOU GET! Every time your VTO link gets clicked, visitors see a small graphic that says "Powered by VTO. Click Here to Get YOURS FREE!" When visitors click it they see the VTO homepage through YOUR AFFILIATE LINK! So just by USING VTO LINK GENERATOR you can easily make new referrals! Every visitor who sees your VTO link can join free, and they become YOUR REFERRAL! As you can see, the VTO ad was clicked a whopping 19.5% of the time, and resulted in a jaw-dropping 29.17% conversion rate! Those numbers are unheard of with any other advertising method, period. So why does VTO work so well when other methods fall flat? The 3 things that make VTO the highest converting traffic source and leave all other traffic generating tactics in the dust are it has a sleek, professional, and unobtrusive format, creates urgency-generating countdown timer, and it has specific niche targeting. The UNIQUE traffic tool is a multiple choice peel away ad promotion built with next generation technology --it's professional, pleasant to look at, and it disappears on its own. It features a ticking countdown timer that counts down and it disappears when the timer reaches 0, which creates ultra urgency and explodes click rates. And the traffic is targeted so you know only real potential prospects see your ads and visit your sites. The combination of these factors is incredibly powerful. Here's One More MUST HAVE TOOL FEATURE... SOLO Emails! I'm sure you know the power of sending solo emails -- marketers have used solo emails for years to rake in cash just by clicking "Send." Some marketers claim they can earn over $10,000 from a single email they send! With VTO, you can send a solo email every week to your downline. Promote products, make offers, recruit affiliates, start JV partnerships, or whatever else you like. Imagine reaching 1,000s of targeted members EVERY WEEK! Generate viral traffic and advertising automatically! Earn viral traffic and advertising on all your referrals! SOLO Email your downline every week! Cloak links and protect affiliate commissions! 1,000 Bonus Credits just for joining! Register as an affiliate automatically & earn Paypal Commissions! Plus act now and receive a HIGH VALUE BONUS PACKAGE with business development tools and resources that can be used with this amazing traffic system to EXPLODE your income on complete Autopilot! With all of these benefits, Viral Traffic Outbreak - Free Website Traffic is easily worth $1,000s because of the bottom line results you can achieve. In fact the regular price is normally $497 for lifetime use, ANY investment you would make back over time. As part of our Grand Re Launch Offer -- For a Limited Time Only -- if you act now you can lock in your Gold Viral Traffic Outbreak - Free Website Traffic Membership today absolutely FREE! (We may start charging for it at any time, so act now). There are even MORE benefits and advanced features, but you can explore that on the inside. I can tell you that what you've seen so far is just the beginning (HINT: get ready for SMART REWARDS technology to absolutely EXPLODE your traffic and advertising... This is your best solution for massive viral traffic to your site or affiliate landing page. This offer simply can't remain free forever!